A visionary new approach to urban revitalization. Medallion Corporation is pleased to announce Casa — an exciting new master-planned, mixed-use development in the heart of Emery Village. 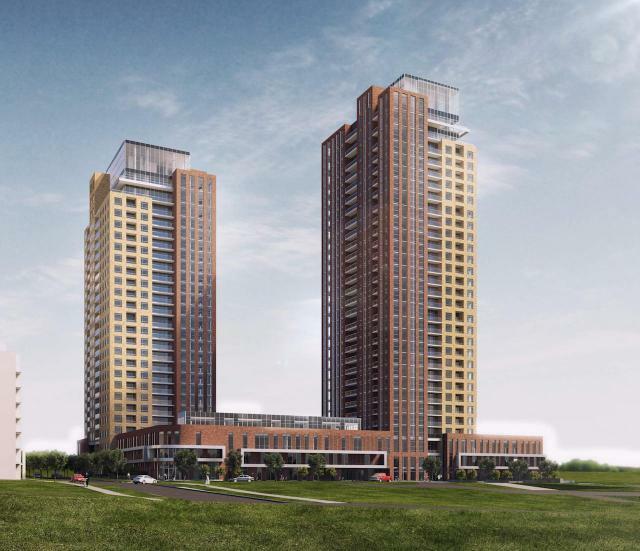 Located on the southeast corner of Finch Avenue West and Weston Road, Casa is poised to become the driving force behind the rebirth and revitalization of this ideally located neighbourhood. Upon completion, this stunning nine building development will forever change the face of the surrounding community by creating 1,400 residential units and over 48,000 square feet of prime retail space. Acclaimed designers Page + Steel/IBI Group Architects designed Casa to serve as a new focal point for the community of Emery Village. Incorporating superior levels of urban and architectural design, Casa creates an atmosphere of increased visual attractiveness through the use of high-quality architectural elements, enhancing both the sustainability and vitality of this vibrant urban neighbourhood. By seamlessly integrating enhanced landscaping, paving, fencing and detailing, the designers have also succeeded in providing a pedestrian-friendly urban environment throughout the community. Phase I of Casa will be comprised of two 10-storey residential buildings featuring retail at grade along Weston Road. The development will also include a landscaped piazza in the centre of the mixed-use retail and residential buildings, creating a modern take on the old-world concept of a village square. Casa will offer convenient access to the rest of the city through existing TTC routes and the coming construction of the Etobicoke-Finch West line of the Transit City LRT. Under the current plan, this 18-kilometre long route will link Finch Station with northern Etobicoke, provide direct service to Humber College and may eventually be extended to Mississauga, the Woodbine Racetrack and Pearson Airport. With such incredible access to the rest of the city, impressive community amenities and stylish urban architecture, Casa heralds the dawn of an exciting new era of urban vitality in Emery Village. Please stay tuned for more information about this remarkable new development.